Bharatiya Vidya Bhavan’s Public School, Jubilee Hills, is an English medium secondary school, affiliated to the Central Board of Secondary Education, New Delhi. The school was inaugurated by His Holiness Swami Ranganathanandaji, President of Ramakrishna Mutt on July 5th, 1979 and affiliated to CBSE wide Affiliation No. 130019, presently has classes from L.K.G to XII. Bhavan’s Vidyashram boasts strength of 2900 students and 130 teaching and non-teaching staff members. 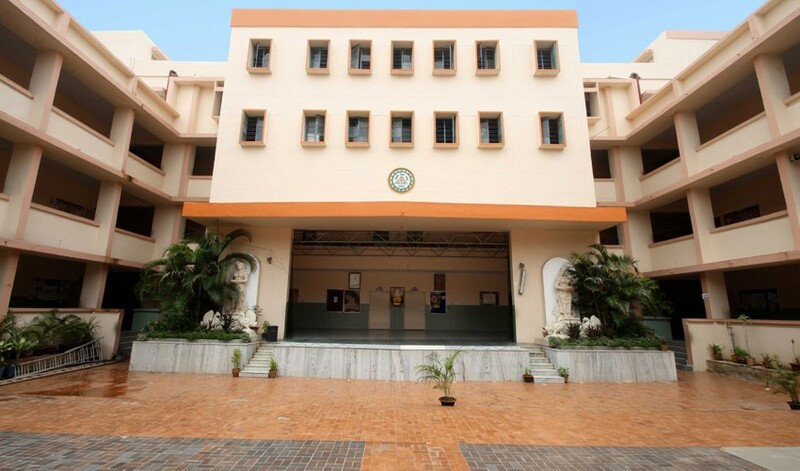 Located on a sprawling 8 acres of land in Filmnagar, Jubilee Hills, the school has a three storeyed main block, separate primary, 3 state-of-the-art computer labs, basket ball court, 2 tennis courts, 4 volleyball courts, 6 table tennis enclosures, on-site hostel facilities, canteen, stationery shop and amenities block. Excellence in education, using a blend of traditional and modem technology based learning to face the challenges of the future. Growth in a child-centric milieu with the right weave of freedom and self-discipline. Bhavan’s Vidyashram aims at producing citizens of tomorrow, by instilling confidence and leadership qualities in them, helping them grow into worthy human beings, and as befitting members of the society and nation, We emphasize the core values of empathy,righteousness, secularism, cooperation and acceptance. In the last 31 years, Bharatiya Vidya Bhavan’s Public School has made great strides in academics and extra curricular activities, with the ultimate focus on the overalldevelopment of the child, The school is unique for its stress free learning in serene environs, community based projects such as adoption of a girl child for education, visits to old age and children’s homes, spiritual activities, meditation for emotional well being and Geeta sloka chanting. In addition, the school has a secular attitude whereby all national and religious festivals are celebrated with equal fervour, No wonder then that Bhavan’s Vidyashram distinguishes itself as one of Hyderabad’s best educational institutions.